Premium coffee K-Cups®, shipped to you. A single, brilliant cup of coffee can set the tone for your whole day. Discover new, delicious K-Cups® each month, delivered right to your door. 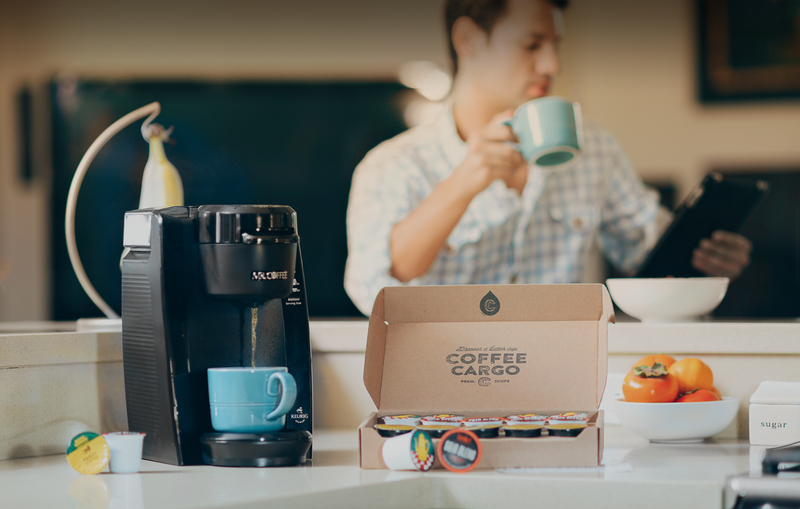 When you sign up for a subscription, each month you will receive fifteen (15) K-Cups® in three (3) varieties of premium coffee blends, delivered to your home for you to try and enjoy. K-Cups® work in both 1.0 and 2.0 machines. We are constantly on the hunt for new, premium coffees from small to medium-sized roasters. We look for coffee blends that are rare, organic, single origin, and/or limited edition to help you discover premium coffees that you wouldn't find on the shelf of your local market. Quality is essential; We care about how the coffee is roasted and how it is packed to ensure that each single-serve cup has freshness sealed inside. When you find a coffee you fall in love with, please support our efforts by sharing, tweeting, snapping and forwarding to your friends and family. It's our mission to ensure we are always delivering on our promise of helping you discover premium K-Cup® coffees. Keurig® and K-Cup® are registered trademarks of Keurig Inc., a wholly owned subsidiary of Green Mountain Coffee Roasters, Inc. Coffee Cargo, LLC and our brands are not affiliated with Green Mountain Coffee Roasters Inc., or Keurig Inc.